My Place/My Sound, is a performance piece based on the past two projects conducted by Hojo+Kraft. Both in Tokyo and in the Lower Engadine they explored the specific acoustics in collaboration with the local community with special regard to the interaction of ‹inner sounds› between people, language, home and space. The collected and composed material, texts, scores and narrations will be transformed into different contexts, from a sound installation or audio walk into a performed sound organism. 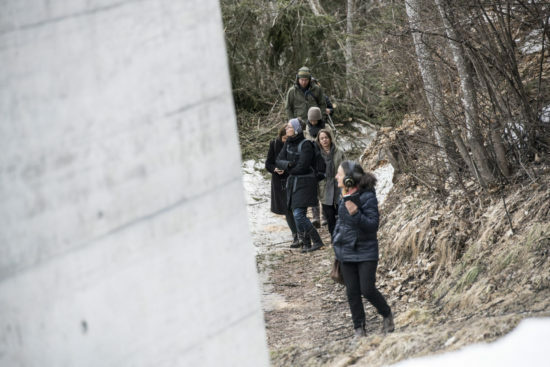 Through this performance, Hojo+Kraft create a moment to experience and imagine such opposed areas as Tokyo and the Swiss Alps with the theme ‹hidden connection between sound and place›. © Copyright 2019 by Tomoko Hojo. All Rights Reserved.